In implementing educational goals, teachers play an important role in ensuring their effectiveness. This study was aimed to test the model of self-efficacy, job satisfaction and organizational citizenship behavior. This study also tested the role of job satisfaction in mediating the relationship between self-efficacy and organizational citizenship behavior. The respondents were 208 teachers in South Sulawesi, Indonesia. The scales used were the Teacher Self-Efficacy Scale, the Minnesota Satisfaction Questionnaire (MSQ), and the Organizational Citizenship Behavior Scale. Results of the model showed a good fit model with ?²=127.94, p<0.001, CFI=0.95, GFI=0.93, TLI=0.93, and RMSEA=0.05. 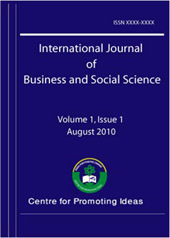 Findings showed positive and significant relationships among the variables: between self-efficacy and organizational citizenship behavior, ß=0.32, p<0.001; between job satisfaction and organizational citizenship behavior, ß =0.57, p<0.001; and between self-efficacy and job satisfaction, ß =0.45, p<0.001. In addition, job satisfaction significantly mediated the relationship between self-efficacy and organizational citizenship behavior.